Alberto Paz Rodriguez loved the racetrack while growing up in Panama City, Panama. His parents thought he loved it a little too much. “My folks were concerned I would get involved with gambling. The racetrack didn't have the best reputation back then,” recalled Rodriguez, 79, who is better known by his childhood nickname “Droopy” – given to him by friends because of his resemblance to a canine cartoon character of the same name. His father was president of Standard Oil of New Jersey, so the family had the financial means to send Droopy off to a private high school in the United States. On the recommendation of a friend, they chose the Kentucky Military Institute, a defunct military prep school founded before the civil war. They apparently didn't know the school was minutes away from Churchill Downs. Sixty years later and a horse racing legend as Panama's all-time leading trainer, Rodriguez chuckles at his parents' good intentions. They couldn't stop him from going back to the racetrack in Panama, where he found his calling, winning 39 consecutive training titles and more than 6,400 races. He's also been a major player at the Clásico del Caribe, winning the big race for 3-year-olds from Caribbean countries on three occasions – the first time in 1974 with El Comandante, ridden by Hall of Fame jockey Jasincto Vasquez, a fellow Panamanian. Rodriguez doesn't have a horse in this year's Clásico del Caribe, but he's represented in three of the other four races on Saturday sanctioned by the Confederacion Hipica del Caribe, which is holding the event for the second consecutive year at Gulfstream Park. Rodriguez will put the saddle on California Music in the Invitational Cup; Brigantia and La Coronada in the Lady Caribbean Stakes' and Fray Angelico in the Confraternity Caribbean Cup. The latter will get a rematch with 2017 Clásico del Caribe winner Jala Jala after finishing second to the Mexican-bred filly. All but La Coronada will be ridden by Luis Saez, a Panama native and graduate of the Laffit Pincay Jr. Training Academy, the jockey school located at the Hipodromo Presidente Remón and named for the Hall of Fame rider from Panama. “We have turned out some of the best jockeys in the world,” Rodriguez said with pride. Rodriguez took a circuitous route back to the racetrack in Panama after getting his education in the U.S.. He said he enjoyed his time in Kentucky, which featured more than a few visits to Churchill Downs, including Kentucky Derby day in 1957 when Iron Liege defeated Gallant Man. He enrolled at the University of Alabama upon graduation from Kentucky Military Institute, then transferred to the smaller Saint Bernard College in Cullman, Alabama. There were no racetracks in Alabama, but Florida wasn't far away. “During spring breaks we would drive down to Gulfstream Park or Hialeah,” said Rodriguez, who remembers seeing eventual Kentucky Derby winner Carry Back win the Florida Derby in 1961. He returned to Panama with a master's degree in business administration and got a job working for Columbia Pictures, visiting theater owners and pitching them on the movie company's latest releases. He did so well he was made general manager of Columbia Pictures in Dominican Republic the following year. The company wanted to transfer Rodriguez to Chile after two years in that position, but he wanted to return to Panama. “One of the first things I did was buy a horse,” he said. In 1968, Rodriguez bought another Thoroughbred, Quimera, a 2-year-old filly who would take him to Mexico City the following year to contest the Clâsico del Caribe. “I was an owner but very involved in training the horses,” he recalled. Around that time, Rodriguez met businessman Fernando Eleta Almaran, a leading owner and breeder in Panama and master of Haras Cerro Punta. Eleta offered Rodriguez a job at a television station he owned but also wanted him to sell his yearlings. “I said, 'I'd like to train for you, too,'” Rodriguez remembered. 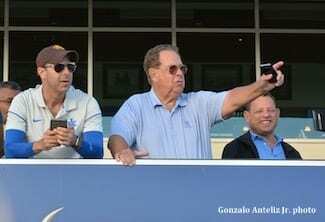 Aleta agreed and in 1970 Rodriguez went to Ocala, Fla., where he met Joe O'Farrell of Ocala Stud. Later that year, he got his trainer's license in Panama. After winning the 1974 Clâsico del Caribe, “the doors started opening for me,” Rodriguez said. He won his first training title in 1976, then put together an incredible streak of 39 consecutive years saddling the most winners in Panama. The streak ended when Rodriguez finished second in the standings last year. How did it feel to no longer be on top? He's been a regular at the Keeneland September Yearling Sale every year since 1968, with the exception of 2001, when he couldn't fly to the United States after the Sept. 11 terrorist attacks. He's developed close friendships with many American horsemen during his visits and has purchased a number of stallions to bring back to Panama to stand at stud – including Ocala Way, Middle Brother, Pumpkin Moonshine, Screen King, Proud Truth and Concerto. “Now I'm looking for another,” he said. Rodriguez spent one year training in South Florida when Panama's racing industry was in crisis. 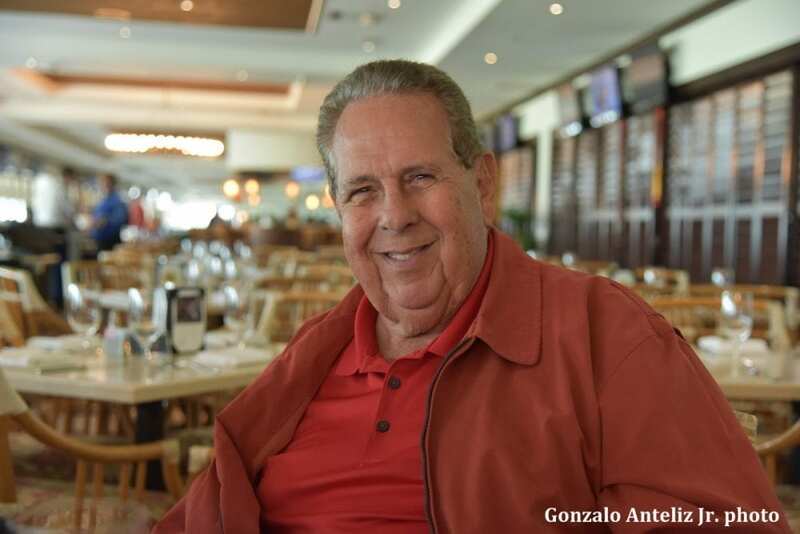 Luis Rodriguez, one of three sons, has followed Droopy Rodriguez to the racetrack as a trainer and has enjoyed considerable success, winning Panama's premier race, the Clasico Presidente de la Republica, three times. “But I've won it seven times,” he was quick to say. Rodriguez has no plans to slow down or stop training, he said, and why should he? He spends most afternoons on the golf course, where he's a low handicap player, routinely shooting under his age. This entry was posted in Connections, NL Article, People and tagged Academia Técnica de Formación de Jinetes Laffit Pincay Jr., Alberto Paz Rodriguez, clásico del caribe, droopy rodriguez, Fray Angelico, hipodromo presidente remon, jacinto vasquez, jala jala, laffit pincay jockey training academy, Luis Paz Rodriguez, Luis Saez by Ray Paulick. Bookmark the permalink.